Exotic seeds are mainly discovered by ancient populations from South America. These seeds are perfect for your own psychoactive garden. In addition, we supply a number of seeds which you can consume directly, such as Morning Glory and Yopo. The effects of psychedelic seeds are hallucinations, and they could also influence your consciousness. The psychedelic seeds which you can order at Avalon Magic Plants, can be grown and taken immediately. Do you want to know how the cultivation and use of these seeds works? Read more about it in this article! Psychedelic seeds could have different reactions to your body. Seeds with the substance LSA, such as the popular ‘Morning Glory’, produce hallucinations. 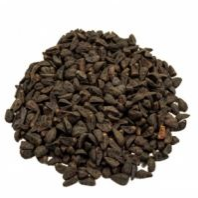 Valerian seeds, on the other hand, fit perfectly in stressful situations, because it will help you to sleep better. So always ask yourself the question: why do you want to use these seeds, and what will be the effect? Don’t you want to get extreme trips? Our advice is to choose a seed that is soothing, or use a small dose of for example Morning Glory. Then there’s a smaller chance of having a bad trip. For a stronger effect you can combine some seeds with each other. Take a look at our exotic seeds to find out which seeds or resources go well together. Most of the effects of exotic psychedelic seeds are positive, but it is important to keep an eye on the dose. Otherwise there’s a chance of having a very bad trip. Firstly, it is very important to never use these seeds in combination with medication or alcohol. We also advise you not to drive while using psychedelic seeds. When you receive an order at home, we always send you a manual. Read this manual carefully, so you can enjoy the seeds optimally, without suffering from unpleasant side effects.